We invite all Oromos in the region turn out in large number to demonstrate their identity, culture and symbols of struggle while a worldwide audience tunes in to follow the visit of PM. 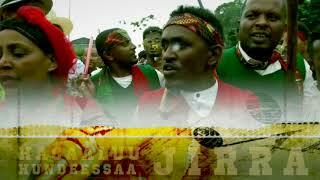 All Oromo are encouraged to wear Oromo cultural clothes and bring Oromo flags. Please note that t-shirts prepared by the organizers will be sold before the event. While the sacrifice of Qeerroo is responsible for bringing the reforms we see today our collective action in the Diaspora has also played significant role towards those changes. So it is not only time to celebrate the achievements but also time to mourn together on the still ongoing killings of our brothers and sisters, ask questions that are eating at our hearts, discuss on our short term and long term goals at the same time demonstrating to friends and foes alike that we are still a force to reckon with. For information regarding t-shirts you can call 202 230 6225. For questions regarding the event in general you can call 301 980 3557.